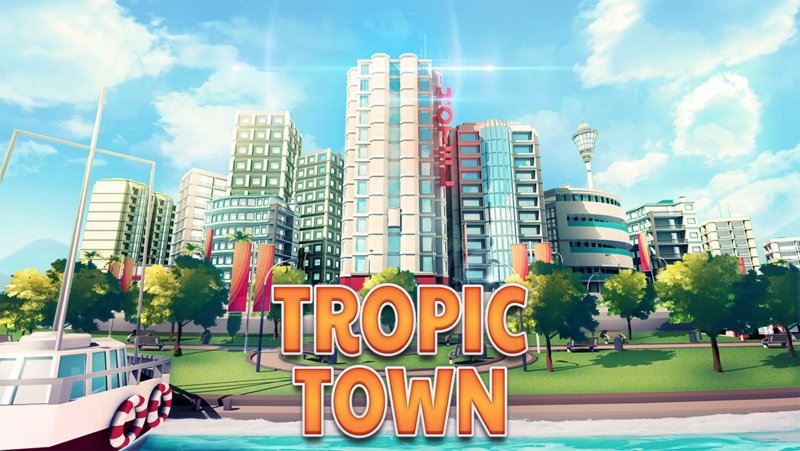 For city building lovers: Escape to a tropical island bay and build the town village of your dreams! A new city building simulator is on its way to your device. Do you like tycoon-style building games that offer you literally infinite options in how you create and design your city life? Then this new citybuilder game is exactly what you are looking for. It is based on the City Island 2 – Building Sim city building game but with a fresh new interaction design and a complete new way to collect your cash. Now there is always something to do and always cash to collect! Starting with simple houses that grow into huge skyscrapers and skylines, this game will test your management planning and organizational skills. Lay out parks, streets, entertainment, and employment areas. Don’t forget to provide basic city services like electricity, sanitation, and police and fire protection. Your citizens will be thankful and more productive the happier you make them in their custom environment. Beautiful graphics are a key part of this exciting new “tap” game based on City Island 2. Lovely renderings of buildings, shops, and stadiums await you once you begin. The more you grow your city, the more decorative and detailed each building becomes. As you invest in amenities, your township becomes more and more like the dream community you imagined and grows to become a real metropolis. This is the kind of town building game that teaches as you play, increasing your knowledge of city planning, resource management, and the services required to make a city run. It offers real world rules on how your citizens interact with your developments. Custom options allow you to set up your city the way you see fit, and it allows you to change your gaming experience as you adjust to new challenges. Be sure to keep your citizens happy, or you won’t generate the revenues you need to build the city of your dreams. Much like in the real world, citizen satisfaction is key to success if you want to be a tycoon of this township. Different environments and dozens of different buildings will help drive that happiness. The more you play, the more secrets you will discover about your city and how it works. Don’t feel limited by real world design. There are thousands of options in how you want to build your city in this new game. You will be able to play both on and off line. Free to play, anyone can get started. Micropayments for special upgrades and building will be available, but not required. Download this new game today, and build the town of your dreams.